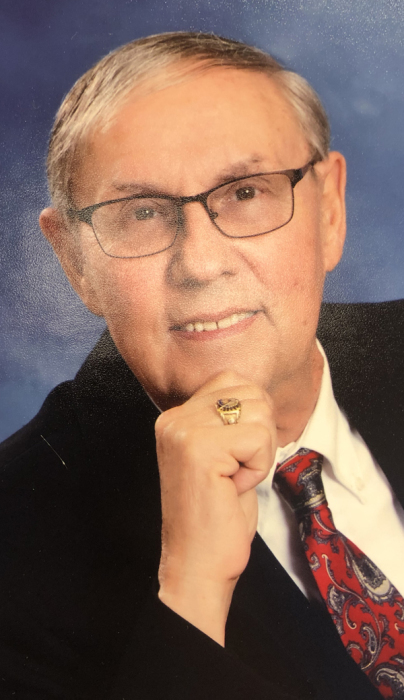 Robert “Bob” Paul Lang, 73, passed away April 1, 2019, with family surrounding him at Legacy House. He was born May 12, 1945, in North Tarrytown, N.Y. He was predeceased by his parents, Frank and Vita Lang, and his brother, Frank Lang. Bob is survived by his wife of 50 years, Janet; his sons, Robert, Willmington, N.C., and Father Lawton, Cape Coral; his daughter-in-law, Lisa; and grandchildren, Chantel, Valerie and Alexander, Raleigh, N.C. He served in the U.S. Army from 1965 to 1967, then worked for FPL in Sarasota before retiring and starting his own painting business. In 2005, he and his wife moved to Dunnellon. Visitation will be from 6 to 8 p.m. Sunday, April 7, at Roberts Funeral Home, 9939 E. Pennsylvania Ave., with a Funeral Mass at 10:30 a.m. Monday, April 8, at St. John the Baptist Catholic Church, 7535 U.S. 41. Interment will follow at Florida National Cemetery, Bushnell at 1:30 PM. In lieu of flowers, a donation made be made to the Knights of Columbus Council No. 8510, mail to St. John the Baptist Catholic Church, 7525 S U.S. Hwy 41, Dunnellon, FL 34432.